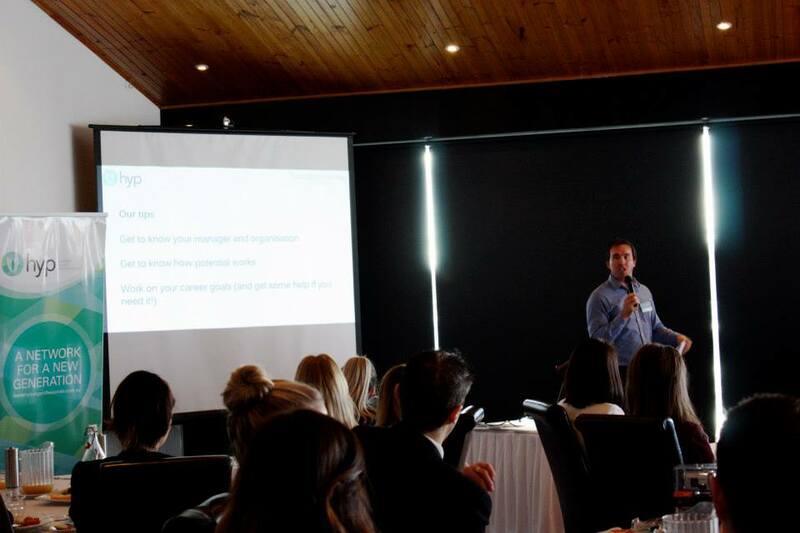 *This is an edited version of our presentation to Hunter Young Professionals (HYP) in Newcastle, NSW on 23 July 2014. Thanks HYP for the opportunity to speak to your members! Floreat Consulting Australia is about helping to create organisations that are great places to work because people are engaged, challenged and happy in roles that fit them well. We love using scenarios and stories to help people make sense of problems and challenges – and through that, themselves! While we do “potential profiling” we also just help people using our models without any sort of assessment. It all depends on the context and what is going to be of the most value. One of Floreat’s most interesting challenges was helping with a construction company on their bid to build facilities for the London Olympics – helping the team predict the challenges they might face by taking them through our model for understanding complexity. We’ve helped individual aspiring leaders discover and develop their potential for major oil company, Petronas. 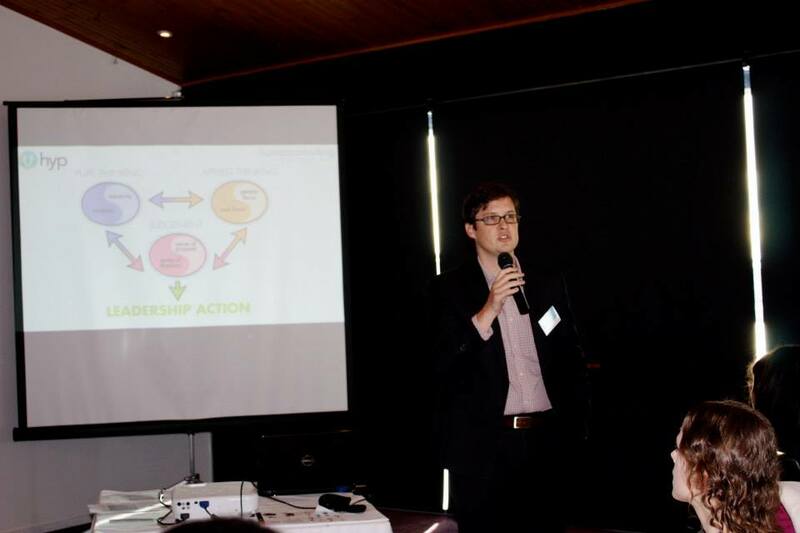 And we’ve helped new leaders understand organisational models and leadership potential as part of industry group Consult Australia’s Future Business Leaders Program. We love learning through experimentation, interesting challenges and having fun. Why should you care about potential? The models we use are great levellers. They’re also platforms for lighting a rocket under someone’s career. We have a proud history of helping people succeed based on merit – not what school they went to, what clothes they wear, the colour of their skin, or what accent they have. A new coach is appointed to the Socceroos (I’m not suggesting they change coaches). But imagine there is a new coach. The new coach starts making all the right noises – they’re turning over a new leaf for this team. My predecessor has done a great job. We have a promising group of young players. The first game comes along and its business as usual. Same squad that the Socceroos took to the World Cup (apart from a couple of predicted retirements). Same starting line-up. An exhibition game at home. The team perform terribly, catastrophically. Worse than Brazil against Germany in the World Cup. They lose 11-0. The coach makes some radical team changes. A new striker is called up from one of the A-league teams. The problem is, he hasn’t played a game in the A-league, is injured and has a reputation for having a bad attitude. A new goalie is also brought in – but he is plucked from a local competition, is not young anymore (for a professional footballer) and is probably not the best goalie in the club comp! To cap it all off, the coach brings in a “technical expert” to help with skill development and the training program. The problem? The only sporting experience she has is playing mixed netball, and that was almost 15 years ago. The media are outraged by these changes and when they dig a bit further, the outrage grows to epic proportions. The striker? He knows the club chairman, he arranged to see the coach and get a personal try-out, the coach watched him go through a few drills and – with the chairman looking on eagerly – decided he was the new striker. The new goalie? Well he is the boyfriend of the coach’s daughter and potential new son in law. The technical expert? She prepared like there was no tomorrow, got an interview and wowed the new coach with graphs and powerpoint slides, demonstrating the year on year improvements she could make to the team. The downside? She couldn’t actually do the job. But she was great at explaining how she could do it. This might seem like a bizarre scenario. A coach actually employing people who he knows can’t do the job as well as others. Would it ever happen? What conditions would there need to be for a coach of a sporting team to get away with this? What conditions would there need to be for someone to get away with this? Now think about organisations that you’ve worked in. Have you ever seen a situation like this before? Someone’s able to climb into a managerial position because they know the boss or his family? Someone who is able to ace an interview but can’t actually do the job? Of course you do. Because this is what many modern organisations are like. Some hard truths and then some good news. Decisions made about people are of course not made purely on the basis of performance. They are often about all sorts of other things – decisions don’t always get made on the basis of merit – they get made because of prevailing beliefs, trends, culture, prejudices. People are not always promoted because they are good at their jobs. Potential is generally not uncovered and developed rigorously. The good and best people don’t always succeed. This is what drives us at Floreat. To do our bit so that talented people know they have talent and can be the best they can possibly be. Working in organisations can be hard work. In fact, in a lot of organisations, getting by is THE hardest work. It’s not processing accounts, dealing with customers, writing marketing copy, making calculations, designing things, making good coffee. It’s just being able to get by and survive the politics, the social environment, the distractions. It’s likely that no-one will ever tell you how an organisation really works. But it’s not magic – organisations are explainable. A way that works for me is to look at how a successful sporting team works. Then you try to figure out why organisations almost never turn out like that. The goal? The right people, in the right roles, doing the right sort of work, at the right time. And all these questions answered for individuals consistently and well – even if the answer is disappointing. Especially if the answer to the individual is disappointing. In other words, an organisation is going well if people working there have a generally held view that the decisions made by the organisation, and the decisions and behaviour of its leaders are generally fair, honest and courageous. Leadership to us means influencing a group of people so that they achieve objectives and continue to do so over time. A big part of that – of course – is leading through answering these 3 questions for your team. There are some distinct capabilities needed for a leader to do their work well. They must be able to understand how people make judgements and value behaviour. They need to understand people and how they work in organisations, how beliefs can arise and how positive beliefs about themselves and the organisation can be brought about (this, to us is the essence of “culture”). They need a good idea of where they want to take their team. Oh and it would be good if they also make good decisions and act in accordance with their stated idea of what they are trying to create. We are going to show you a model (2 actually) – that we use at Floreat – to help individuals understand their own potential so they can look at their goals, change them if they need to, and achieve them. We hope you can use this too – not only for your own development, but also for other things in the future and explaining some things that you may have seen or have happened to you that could have been mystifying. In any organisation, work varies in complexity (by that I mean, the time horizon for different tasks varies, there are a different number of variables and those variables relate to one another differently over time) – and we all have a varying degree of capacity to deal with this complexity. Say I joined a bank as a junior customer service officer. My focus in that role would be on resolving customer problems as they come to me on a daily basis. Let’s say I’m enjoying that and developing in the role over a few years, and I’m now put in charge of a team of junior customer service officers. We’re all doing valuable work (there’s no doubt, where would a bank be without people helping customers directly?) but as the manager of the team, I’m now thinking of a longer timeframe and more variables that impact on my own and the team’s performance. I may need to think about how to fill a roster over a 6 month period, how to resolve tricky customer problems that cross over into the work of a few different teams and even questions about who might be the next to fill my shoes. My proposition is that (and I’m not alone), we all have different levels of ability and comfort with complexity. And that’s fine. The good thing is, all levels are valuable and not all are necessary (smaller organisations don’t necessarily need Zone 6 or even Zone 5 thinking). And plenty of “smart” people aren’t comfortable at those higher zones because that’s just not where their ability lies. (For example, brain surgeons don’t need Zone 6 thinking ability in our model). This is about complexity in organisations – not complexity everywhere. In my role as a junior customer service officer, I could have enjoyed dealing with the daily customer queries for a long period of time, but I might be starting to get bored seeing the same thing over and over. I might be wondering what my manager does all day up there. I could even be wondering, do I have what it takes to be successful in another role if I do get promoted? This is important, because what organisations should value a great deal more than they do, is the ability of people not only to understand complexity, but also to make good judgments and act productively in relation to complexity. It’s not enough to just “get it”, we generally get paid in roles to make judgements on things and take action. In the bank, I might be wondering, I think we should change the way contact our customers. I might then be thinking, how can I actually put this into practice. What would I need to think about? How could this new system be designed? What hurdles can I see? Who might support it? Who might be against it? In short, organisations should take a lot of notice of who can make that transition successfully. Who can put the ability to understand complexity together with the ability to manage – people and tasks – well. And what sort of challenges do we come up against as soon as we want to turn our ideas into reality? People – both individuals and groups of people who’ll be affected by our decisions. That holds true for a lot of the smallest, most seemingly minor decision to major ones affecting many people. Let’s use an example. Say you’re in charge of a vehicle manufacturing plant. You know that the economic fundamentals are not in your favour – people are demanding smaller, cheaper and higher quality. Unfortunately you’ve just discovered that the transmission system in your new line of vehicles is faulty. In this case, analysis is about looking into why the transmission system might be faulty – was there an error in the production line? Industrial sabotage? Is it really a fault or was it caused by something the after-sales repairs are doing? In terms of creativity, what can be done about this problem – can it be isolated? Could there be a win-win there somehow? Analysis is about understanding the facts and causes of things – as well as, perhaps, the implications of some things happening now off into the future. Creativity is coming up with ideas on what to do about it. If you prefer analysis, you’re not alone. Most people do! Knowing your preferences helps you know when you might need help at work and what sort of help you could need. If you decide to check out the production process, how would you go about it? Which groups will be affected? How will you communicate with them, what different messages do different people need to get? On tasks, what work needs to be done? How should it get done? What are the priorities? When we talk about “People and task” focus, we’re talking about the world of action. Sense of direction is making judgements about what needs to be done. The point at which you need to commit to a plan. Purpose is being able to adapt that plan depending on prevailing impacts of people and task. If you can manage a problem across all these things, you’re doing really well. The ability required of really strong leaders is being able to do these things at increasing levels of complexity – and the complexity I’m talking about is the complexity you have to deal with in your work. The variables, the unexpected, ambiguity. Things like the economy, our competitors, changing customer habits, government policy. The good part is, we all have potential and there are ways of working out what your potential looks like – you can even have a good guess at your own potential based on what you know now. Ok, I hope you’ve got a broad idea of leadership potential and how you might recognise it in yourself and others. But what about the practical stuff? What steps could you actually take to develop your career as a young professional? Think about areas of expertise they have that you are interested in then direct conversations toward those topics. You’ll be amazed how people enjoy sharing and passing knowledge onto others, especially when they are passionate about the subject. Through these conversations you’ll be creating the basis of an informal mentoring relationship, which in turn will give you the confidence to ask your boss to formalise the relationship. When formalising a relationship like this be mindful not to overdo the formalities, paperwork or unnecessary bureaucracy, making it minimum sufficient to achieve the purpose is the best way to go. We’ve given some advice on how potential works in a technical sense. But I’m going to take you through some practical tips that we’ve learned from looking at potential in the field. Leadership potential is not about “professionalism”. I mentally vomit every time I hear that word. Being “professional” is a means-nothing word, and often a values-laden and confusing term that serves to divide people of different cultural groups. When we profile people, we don’t care about the bells and whistles – how people are dressed, how well they do small talk, who they’re friends with. Potential can be found in the most unlikely places (and we have!) – the well-educated and wealthy, non-educated and poor. It doesn’t matter and there is no correlation. Forget professionalism. It IS about language – not in the sense of breadth of vocabulary – but in the sense that the way someone uses language, in the right setting, is a window into how they think about things. DANGER! This doesn’t mean you get points for talking about a great “strategy”, how you are addressing “stakeholder interests”, how something might be “ubiquitous”, whether someone works “in that space” (shudder….uurgghhh). It is about being able to come up with new ideas and the ability to link those ideas together in new and interesting ways with other interrelated ideas. Potential is not just thinking about things. What is really interesting (and part of why I do this work) is that the potential we assess is the ability to think, plan and do. It’s about being able to analyse a situation, come up with some creative solutions, make a plan, implement it effectively, adapt it if need be (and it will nearly always need to change) when the situation changes, learn from all that and then repeat it again. And of course the drive to keep going despite adversity and see it succeed. It’s also all about balance. Have you ever met someone who is amazing at thinking about things but can never quite bring themselves to do anything with it? Ever? That’s a sign that the person favours what we call “pure thinking” over “applied thinking”. An excellent and fine quality to have if you are in an analytical, advice-giving role. Not so great for a project manager. Those people who are able to balance the thinking and doing aspects – and do that at a level of complexity that matches their work (number and type of variables as well as ambiguity into time and space) – are more likely to be successful leaders. Let’s return to our sporting analogy. Part of the reason this doesn’t happen in good sporting teams but happens a lot in organisations is that concepts like potential, authority, leadership and accountability are confused and undefined. People are not generally held to account for their work, and people are not generally promoted because it is thought they would make a better leader than others. But if you understand what these concepts mean and how they apply to you, you can achieve a lot in a very short space of time. If you’d like to know more, check out our website www.floreatconsultingaustralia.com.au and get in touch. We’ll also be around for a little while after this talk. We would like to thank you all very much for coming along on this cold morning! Previous PostFloreat Consulting Australia in Third Sector Magazine (July ed. )Next PostNew Individual Career Development Packages!